See the authentic China town with someone who was born and raised there. Walk around and try local foods and snacks. Visit Chinese temples and see the bustling Chinatown nightlife. Dinner Time with variety local stall food that can't be missed out when visit Chinatown. Enjoy local street food and observe the night lives of the biggest street food. 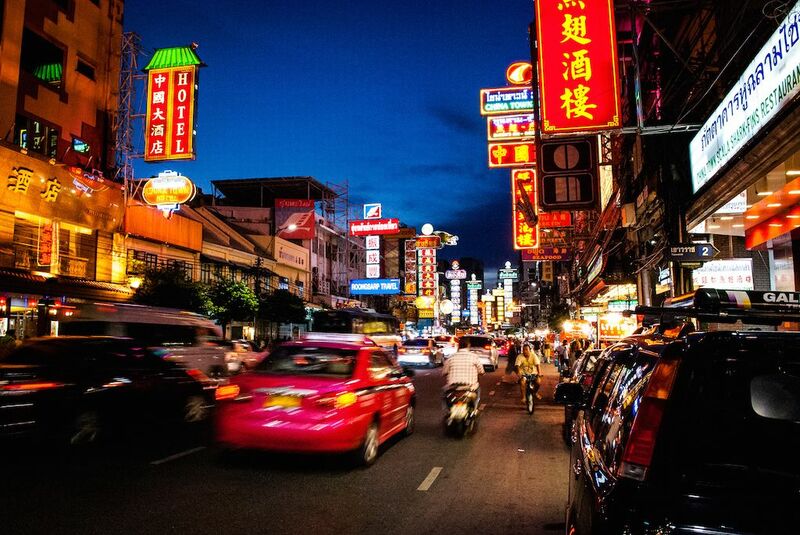 Unlike any other street, China town, at night, is one of the most busiest streets of Bangkok flooded with both local street venders and visitors. As I was born and raised in China Town neighbourhood, this trip will surely be the night of the real local style. Taking a tuk tuk ride from our meeting point, street food-hopping, and visiting a flower market. Feel the real vibe of Bangkok at night. My trip will be focusing on local street food-hopping and the lives along these two places. And, since I'm a local girl of this neighbourhood, this trip would be pleasurable, yet memorable. We had a really good time with Nui, who introduced us to many new dishes and local stories. As we hit it off really well she also introduced us to two very good bars with local brew - a theme which should be a tour in itself. We highly recommend Nui as your guide. We ate lot of street food, appreciated the local atmosphere and Nui is great and friendly.